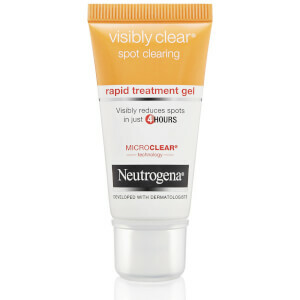 NEUTROGENA® Visibly Clear® Spot Proofing 2 in 1 Wash-Mask works with your skin to help clear spots and defend against new breakouts. 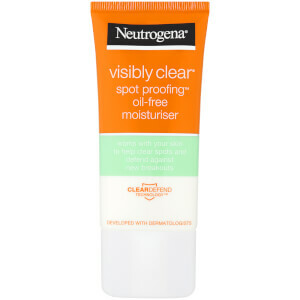 Formulated with ClearDefend technology™ to help clear spots and defend against new breakouts from first use for healthy looking, spot proof skin. 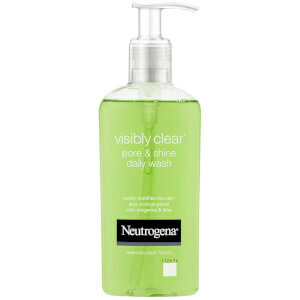 As a wash: in the morning and evening, massage onto wet face to work into a foamy lather, avoiding delicate area of eyes. Rinse with water. As a mask: smooth a thin layer over face, and leave it for 5 minutes. Rinse well with water, removing remaining traces with cotton wool. Aqua, Glycerin, Kaolin, Bentonite, Sodium Methl Cocoyl Taurate, Trideceth-9, Salicyclic Acid, Benzalkonim Chloride, Menthol, C12-15 Alkyl Lactate, Cetyl Lactate, Cocamidopropyl PG-Dimonium Chloride Phosphate, Lactic Acid, PEG-5 Ethylhexanoate, Coconut Acid, Sodium Chloride, Xanthan Gum, Disodium EDTA, Citric Acid, Sodium Citrate, Sodium Hydoxide, Chlorphensin, Parfum, CI 77891.